Too many women bought into the fairy tale that we could have it all. We wanted to believe that we could truly balance a family and a house with well-paying, growth-oriented careers and interesting, extra-curricular pursuits. Now we know that there is no such thing as having it all without sacrifice to our sanity or physical well being…or that of our loved ones! But employers have yet to learn the lesson driven home to erstwhile-liberated women seeking perfect lives; employers still desire, indeed demand, perfect employees! 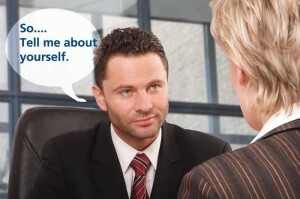 If you wish to avoid a meltdown during the interview, anticipate this question and know how to respond properly. And, know how not to respond. If your answer sounds too rehearsed, trite, or sycophantic, the interviewer will view you as a robotic apple-polisher instead of a critical thinker. Straightforward answers rampant with minutiae will bore the hiring manager and diminish your chances of employment. And, if your answer paints you as anything other than a professional, you can look forward to an extended stay on the unemployment line. Do your research before the interview; an hour spent perusing the company’s mission, history, accomplishments, and objectives is time well invested for the serious job seeker. The hiring manager will not expect you to memorize this data verbatim, but the information will give you a solid basis for a genuine dialogue. Prepare well; balance professionalism with honesty and circumspection. This approach will allow you to interweave your interests, experience, and goals with those of your prospective employer.